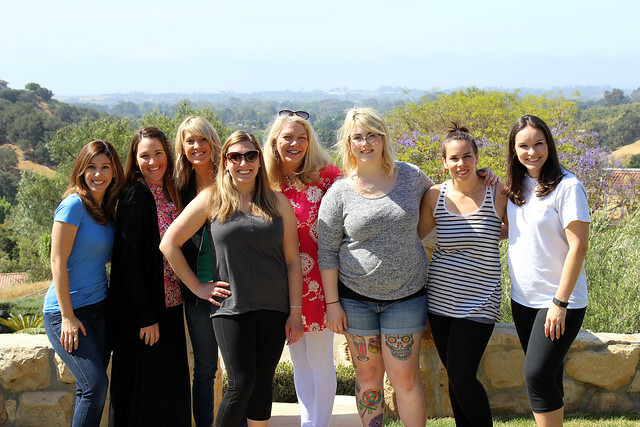 This is a recap of a blogging retreat in gorgeous Santa Barbara filled with plenty of food, laughter and learning. I have so much to talk about today. 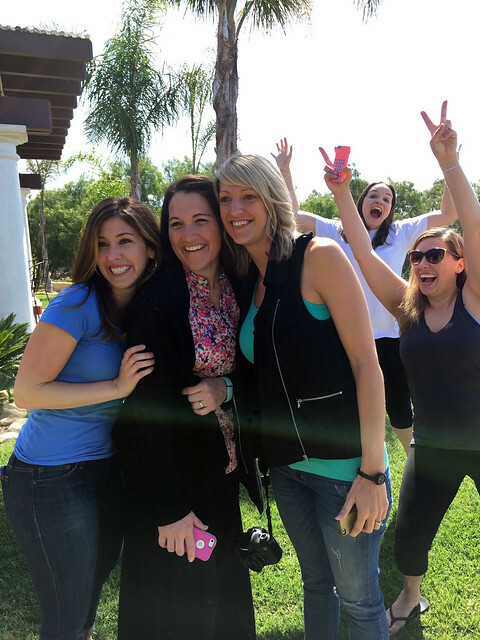 Last weekend, together with my friends Lindsay (Life Love and Sugar) and Dorothy (Crazy for Crust), we hosted a retreat in Santa Barbara California for a few of our blogging friends. You may have seen me blowing up your Instagram feed #notsorry. I left with a sense of renewed perspective on my blog and with a laundry list of knowledge that I absorbed through the weekend. 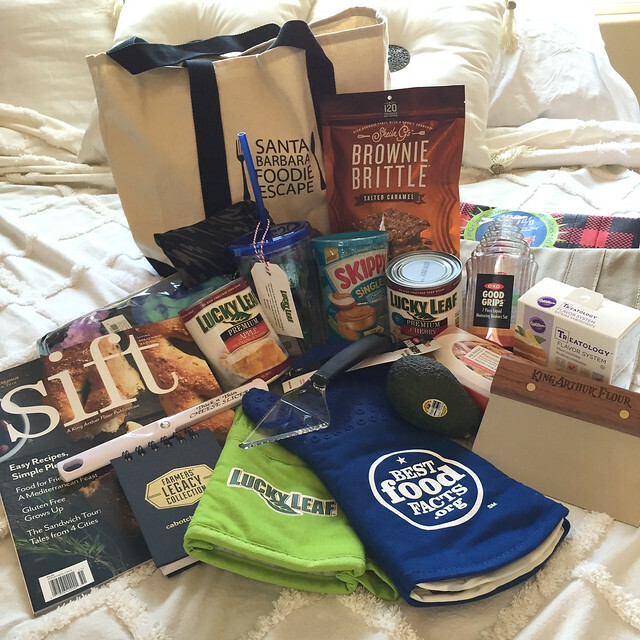 Often times, bloggers travel to conference and attend session, meet with brands and eat a lot of food. 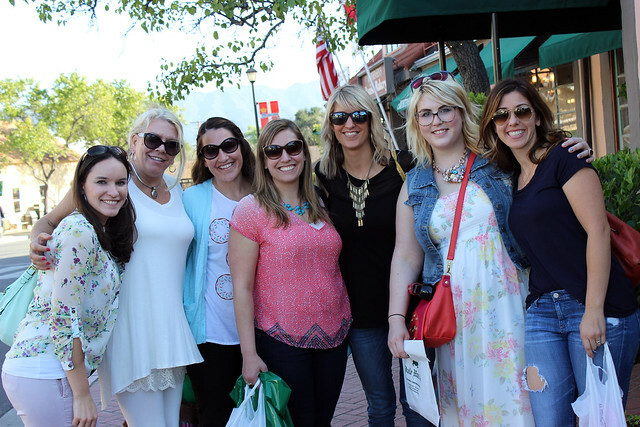 However, the best time spent at the conference is with your fellow bloggers, learning from each other. The blogging community is very unique. Every one is incredibly helpful to one another because we know that we cannot do this all on our own. I have met some incredible women over the past two and half years and I am lucky enough to call them my friends. So let me tell you a little bit more about our weekend. We stayed at Opryland Estate which we rented through an online rental agency. We were very fortunate enough to have a couple of amazing sponsors that helps cover a large portion of the costs for the weekend. A special thank you to Lucky Leaf Pie Filling for covering a majority of our housing and to Best Food Facts for providing us with more than enough food for the weekend! There was four of us from California and four ladies from across the country. 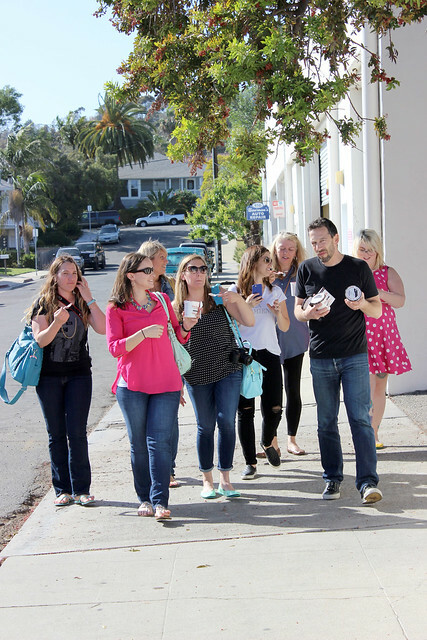 I really wanted them to be able to experience a part of Santa Barbara, so I tried to plan some activities with local businesses. Friday was our day at stay home and relax, reconnect and eat! Everyone arrived around lunchtime to a grilled cheese and tomato soup bar! Who doesn’t love a good grilled cheese?! 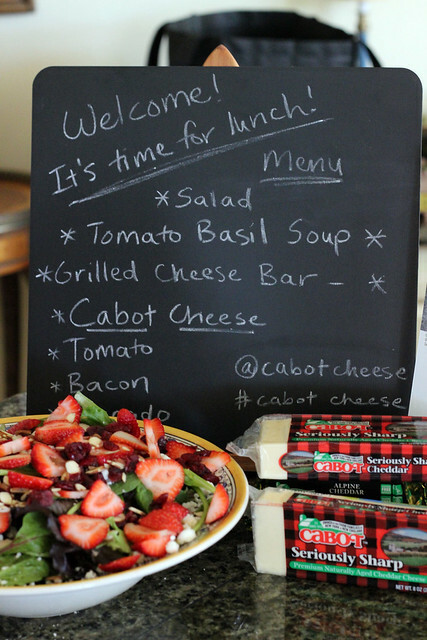 We were fortunate enough that Cabot provided us plenty of cheese for the weekend. This is a little near and dear to my heart since Cabot is a Vermont based company. 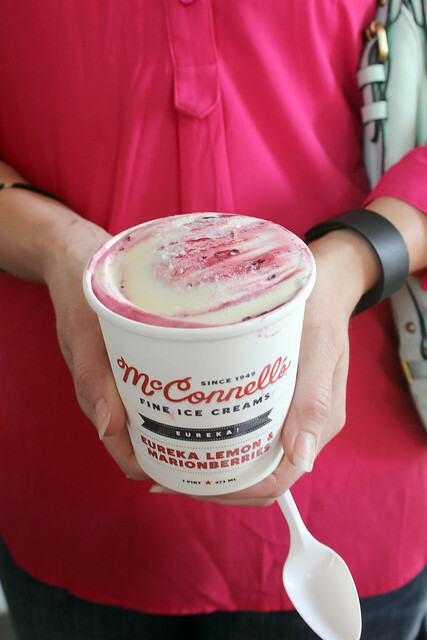 Our first stop was at McConnell’s Fine Ice Cream. This experience was truly unique. 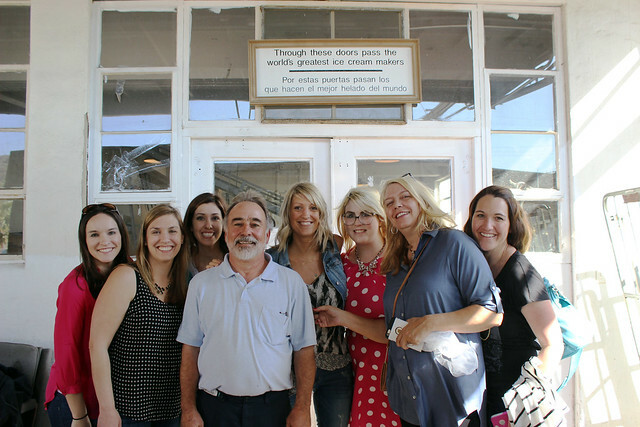 They do not usually give tours of their creamery, so we were pleased to have an inside look. 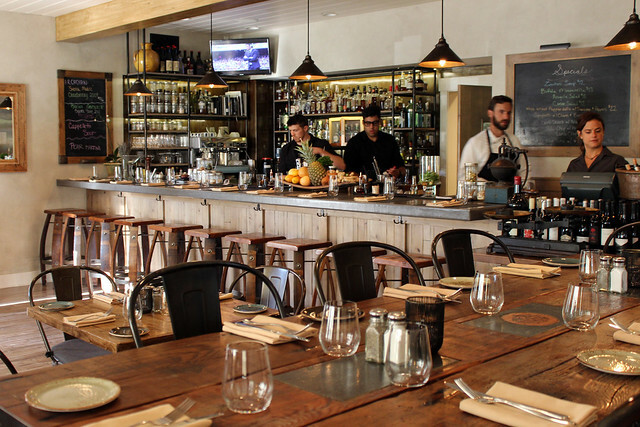 Michael, the owner, was once a salesman for wine and his wife is a Swedish chef. 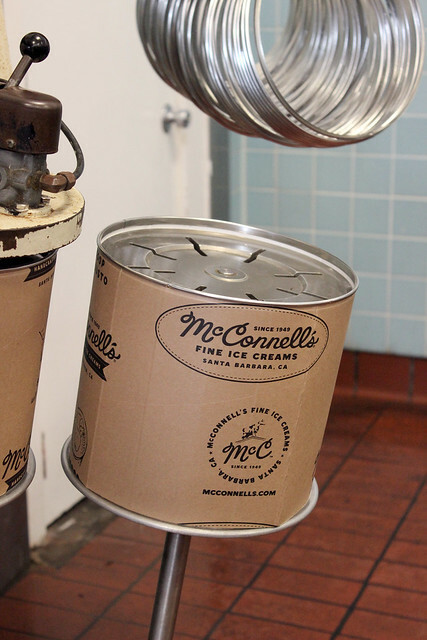 They purchased Mc Connells about two years ago, and have become obsessed with making the best ice cream there is. I have tried a LOT of ice cream, but I have to say that this was unlike anything I have ever experience before. It’s not a surprise because McConnells makes their own from-scratch base with dairy that they pasteurize themselves. Unlike most ice cream you will find on the shelf, they have NO stabilizers or fillers. It’s all cream, butter and high quality ingredients. 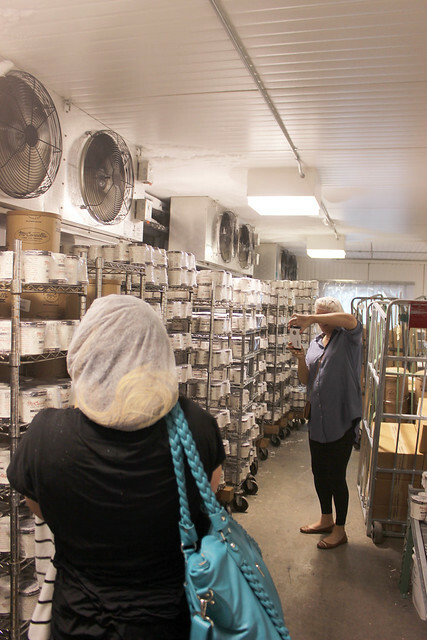 We were lucky enough to taste some ice cream that came off the line just an hour before. It was a Eureka Lemon and Marion Berries. I never thought I would enjoy a lemon ice cream as much as I liked this! We tried several other flavors during our visit and the Salted Caramel and Turkish Coffee were my favorites. Thank you to Michael and the whole McConnells team for showing us what’s behind this door, which ironically is the world’s best ice cream makers. Also, that freezer which we ran through from one side to the other with our shoes freezing to the floor! Friday night we returned to the house for a taco feast! I made homemade tortillas (oh my gosh, so good! ), fresh salmon and carnitas. I can’t totally take the credit for this, but Dorothy tried my salmon and actually liked it! That is a huge win in my book. 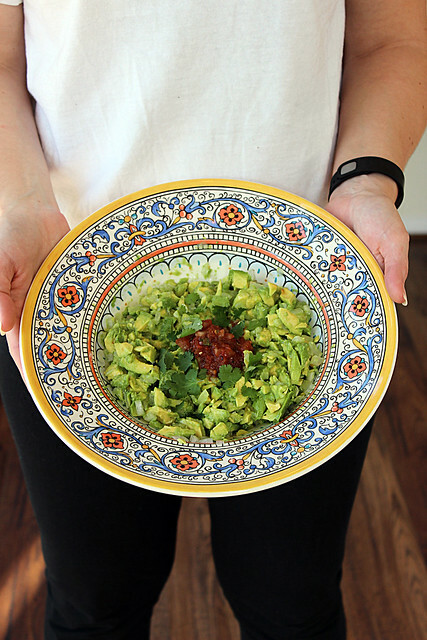 I’ve also got Lindsay begging me to teach her how to make my guacamole. I think it was just the fresh California Avocados! Saturday we were up bright and early with a full day ahead of us. 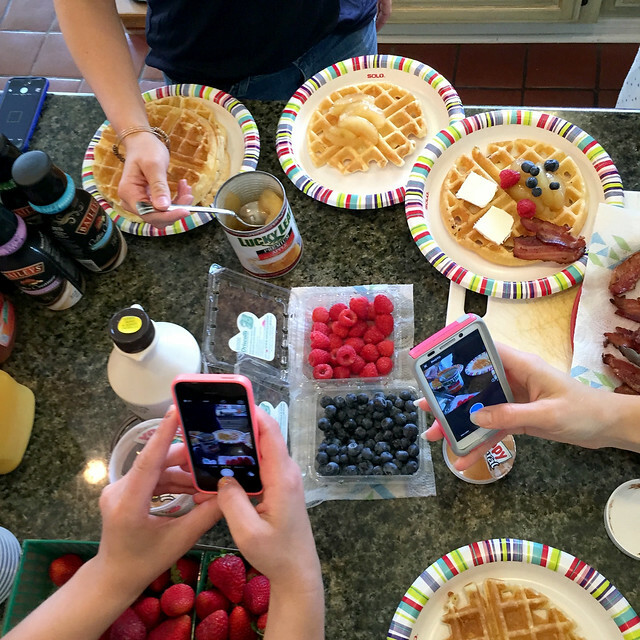 Deborah from Taste and Tell made us her Easy Waffle recipe. I am pretty sure no one has ever seen that much waffle batter before! These waffles were insane, and I will totally be making them at home. Waffles bars are amazing, that’s all I am saying! Did I mention that no one went hungry all weekend? 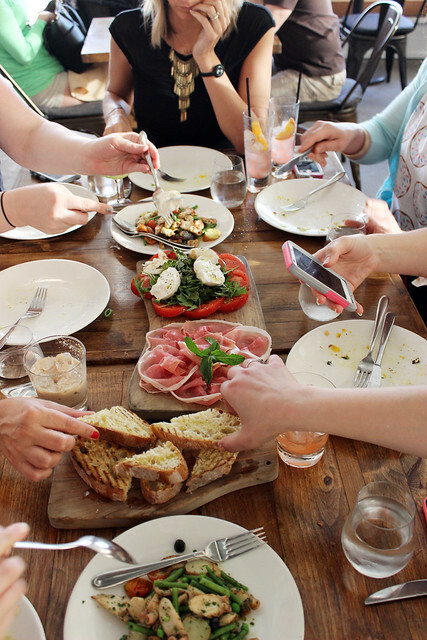 This is what it looks like to eat with food bloggers. We hung out for the morning with casual discussions that only bloggers really understand. That is why I love these types of get together. My boyfriend has no idea what is means to have a mobile responsive website and he could not even begin to understand what SEO means. We had an action packed afternoon! 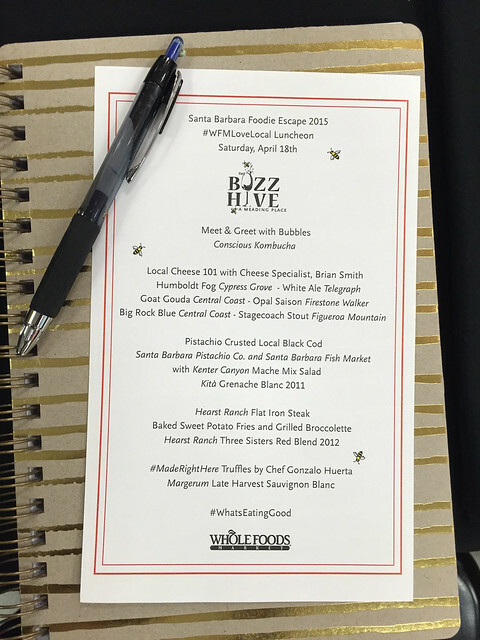 We started off with a four-course catered lunch at Whole Foods Market (WFM) in Santa Barbara. 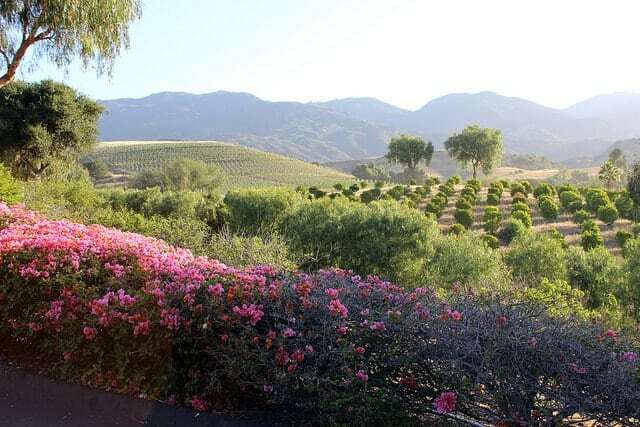 One of the great things about Santa Barbara is that there are so many local growers of fresh fruit and vegetable, nuts, fish, wineries and so much more. The WFM in Santa Barbara has more local ingredients than your typical market. 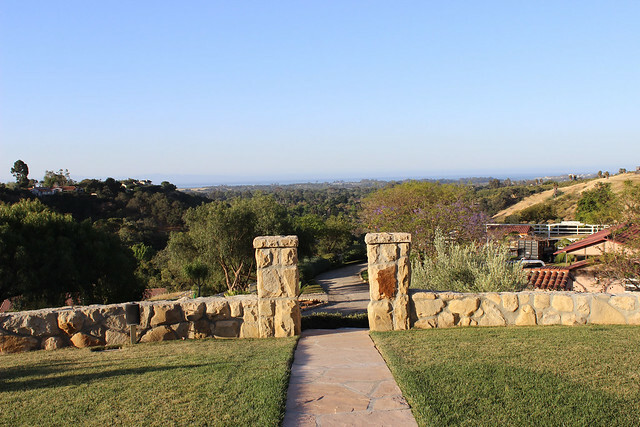 They have an on-staff forger that works up and down the coast of California to seek out local vendors. 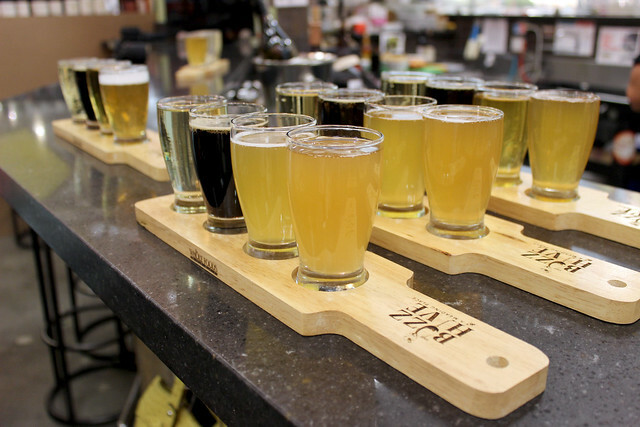 During our time at WFM, we had the opportunity to taste local brewers and wines that paired perfectly with our meal. I tasted a stout that I actually liked! 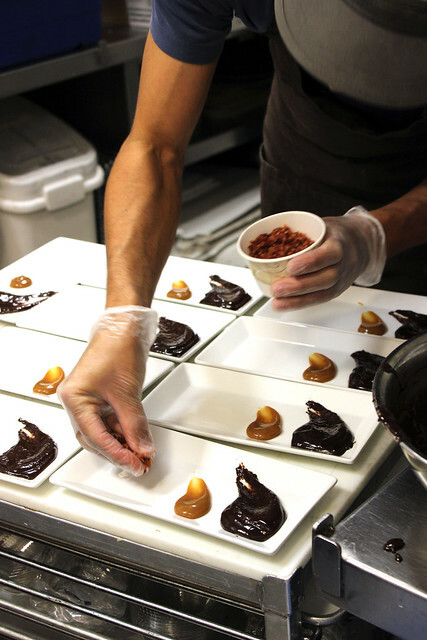 We finished off our meal with a deconstructed truffle and the most amazing chocolate ever. Their on-site pastry chef is extremely talented and also happened to include bacon on his assortment of toppings for the truffles, which was fine by me! 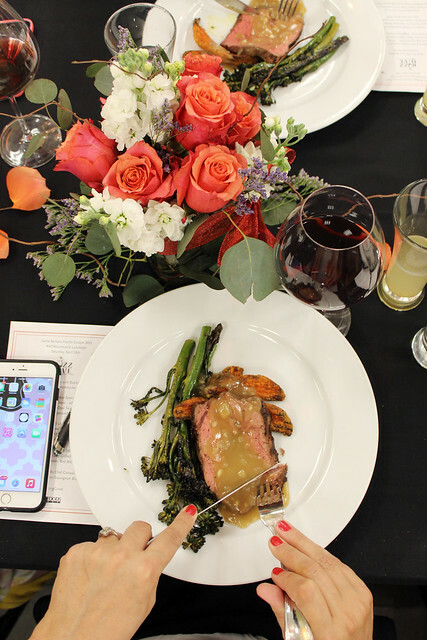 A special thank you to Whole Foods Market Santa Barbara for filling our stomachs and taking the time to show us your amazing catering capabilities. By the way, did you know that WFM will cook your meat for you when you order it from the case? I did not and I love that idea! After lunch, we headed north to the town of Solvang. This adorable Danish town has so much to offer, especially to a group of food bloggers! 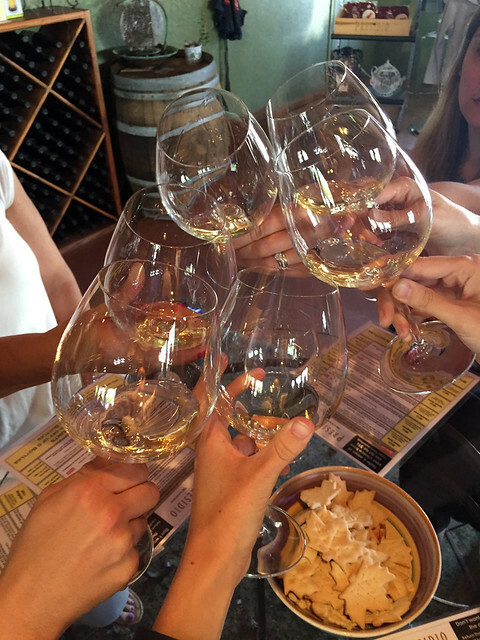 We started with a tasting at Presidio Winery where I actually loved my glass of chardonnay! I am usually a pinot grigio fan. Then it was time to head across the street to Mortenson’s Danish Bakery. This bakery is famous for their butter rings and Danish cookies. 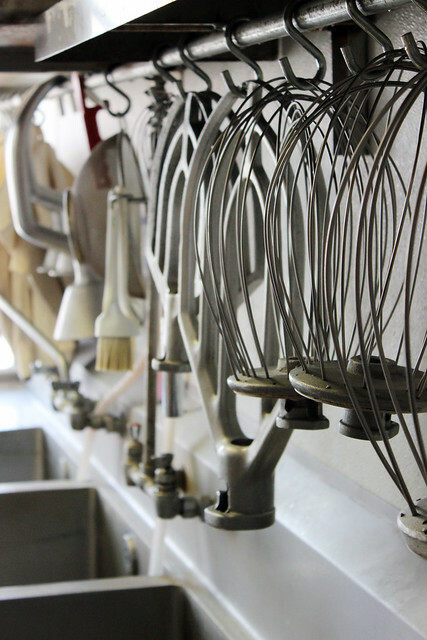 We got a peek behind the scenes at the bakery and got to taste some fresh Danish donuts. The story of Mortenson’s goes back 45 years and it is a family-run business. I happen to have worked with some of family members in the past for the Cupcakes for Cancer fundraiser, and they are the sweetest family ever! I think everyone was hooked on the delectable goodies from Mortenson’s. We had just a little bit of time before we left for dinner to walk up and down the quaint streets. 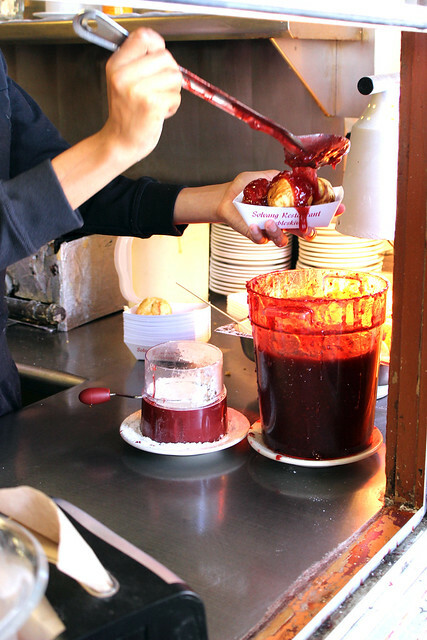 Of course, it wouldn’t be a trip to Solvang without a stop at the Solvang Restaurant for some famous aebleskiver. 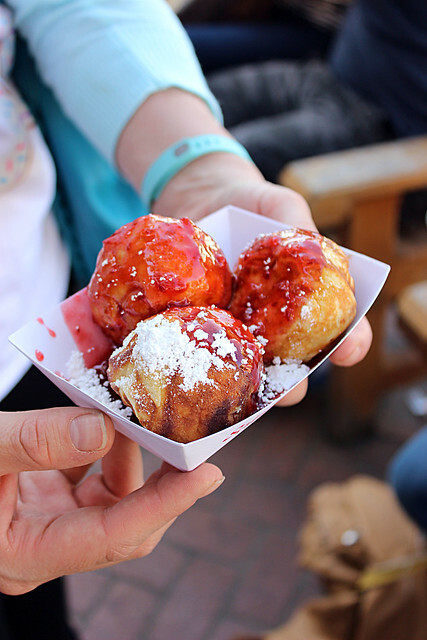 They are best described as a pancake puffs covered in jam and powdered sugar. Our tummies were at full capacity but I had to make sure everyone had at least one bite! After that it was time to head to dinner at SY Kitchen. It was a really special night to be there since it was their 2nd anniversary! The experience at SY Kitchen surpassed all my expectations. Chef Luca prepared an array of dishes for us to taste including burrata, baked artichoke, homemade ravioli, wild mushroom pappardelle (I swear some of the girls would have licked the plate! 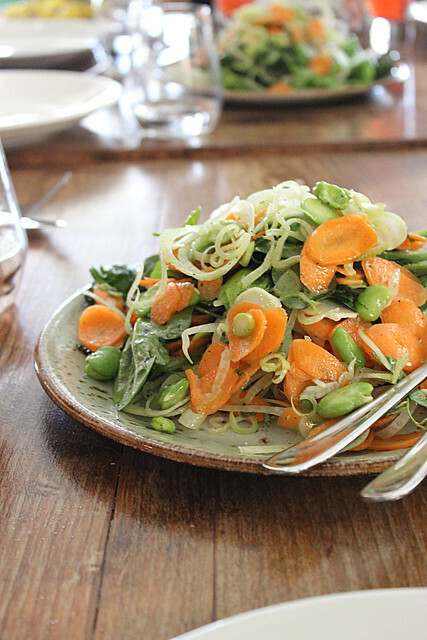 ), wood fired pizzas and several of the best, most freshest salads ever. Their on-site mixogolist needs to be my new best friend. 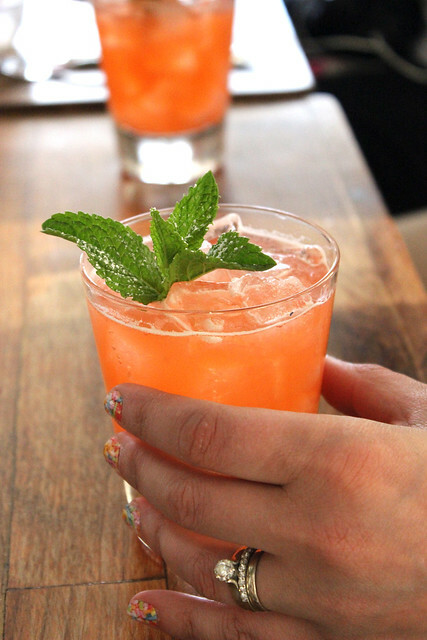 I had a pineapple basil margarita and this “valley girl” with whiskey, mint and muddles strawberries. It was heaven in a glass. If that wasn’t enough, we tried just about all the desserts on the menu including: Not so Classic Tiramisu (check out Dorothy’s copycat recipe), panna cotta, fresh berries served over coconut gelato and a homemade chocolate gelato with caramelized bananas. Now you would think that after all the Italian food for dinner, how could we have any room left for dessert? 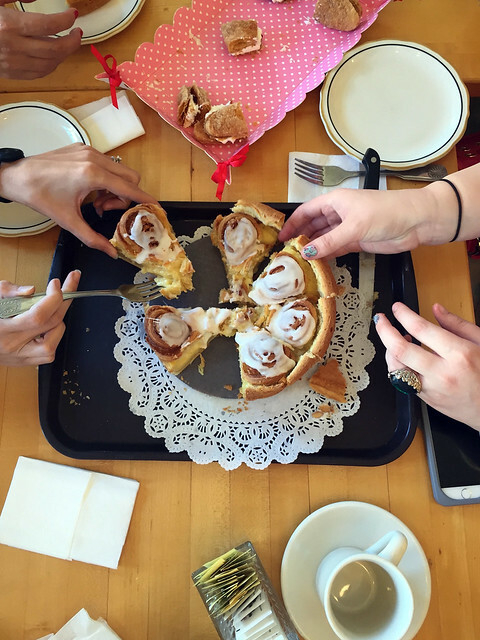 Well let me tell you a little something about this group of food bloggers: there is always room for dessert. We swarmed that dessert like bees, or rather “vultures” as Dorothy so politely pointed out. It was the hardest I had laughed all weekend. 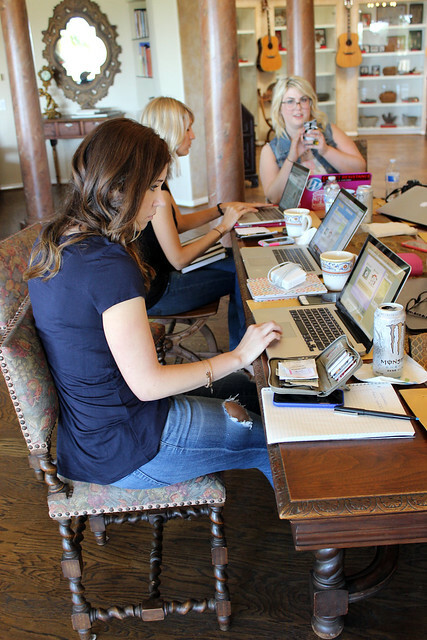 Before you know it, we were back home in our PJs sitting around the couch talking best practices for blogging. As I mentioned before, there is plenty of fun to be had, but the best part is the knowledge and motivation that you take away from these events. We are all business owners, photographers, recipe developers, publishers, social media gurus along with a laundry list of other responsibilities. It is a pretty unique job and I am so humbled to be able to enjoy the opportunities and doors that have been opened through my blog. Without Beyond Frosting, I certainly never would have met these wonderful women. Disclosure: Our meals at home were provided by Best Food Facts. 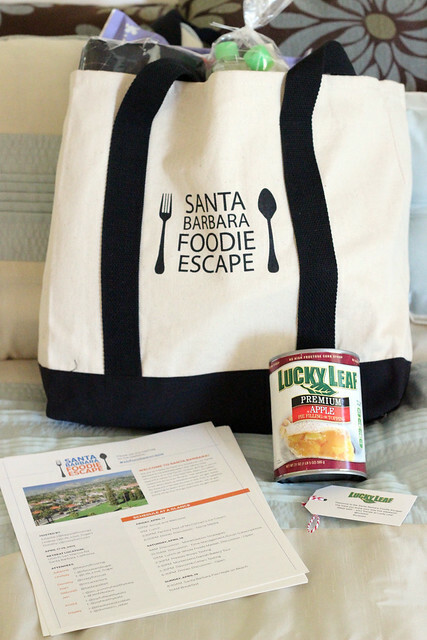 Additionally, our sponsor, Lucky Leaf Pie Filling helps to cover the cost of lodging for the event. 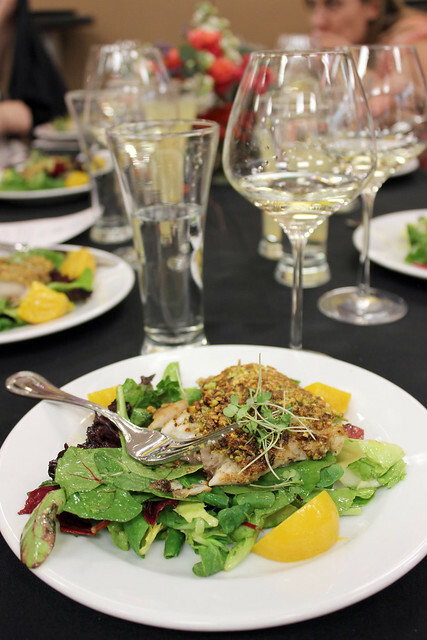 We were provided a complimentary lunch at Whole Foods Market and a wine tasting at Presidio Tasting Room. Everything I talked about in this post is of my own personal opinion and as a result of my incredible weekend, I have chosen to share the stories with you. Check out Best Food Facts for trusted information regarding food, directly from the experts. Additional gift bag donations and food from: King Arthur Flour, Wilton, OXO, Sabra Dipping Company, Cabot Cheese, California Avocados, Baileys Creamers, Skippy Peanut Butter.